Huawei is one of the leading Android smartphone makers of China. It is ranked as the third largest smartphone vendor in the world after Samsung and Apple. In the year 2015, Huawei came up with yet another flagship model the Huawei Y635 which ranked among the top Android smart phone devices. With cutting edge technology and excellent features to support, the Huawei Y635 was bound to take the market by storm. With a 1.2 GHz quad-core processor and a 1 GB RAM support, this new machine from Huawei, offers fast and responsive performance. The Android Lollipop v.5.0 operating system in the Huawei Y635, makes it more stable, lightweight and steady fast. Although, the Y635 comes with various awesome features and specifications, users still want more from it and what is a better option than rooting the Y635? So, in this tutorial of ours, we will provide you the best and a worldwide proven solution if you want to root and get the best out of your Huawei Y635. 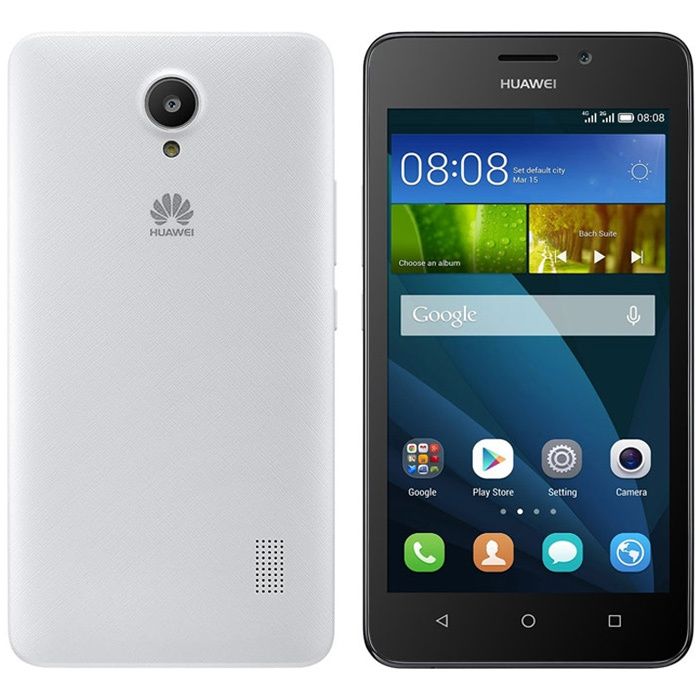 Just follow the simple and easy steps given below to root Huawei Y635 easily and effectively. Now before we start with the process of rooting Huawei Y635, it is important that we keep a few important points in mind. Here is the list of the things we should do before rooting the Y635. Enable the unknown sources in Settings > Security > Unknown Sources. Make sure you have a windows running computer with internet access. Your Huawei Y635 device should have more than 70-80% battery life as the process should not be affected due to low battery issues. It is preferred that you use an original USB cable to connect your device with computer. It is advisable that you backup all your data on the Y635 to avoid any loss. Keep your phone powered ON before starting with the process. Disable or shut down any firewalls or anti-virus software on your personal computer beforehand. Enable USB Debugging Mode on your smartphone; Go to Settings>About Phone > Build number > Tap 7 times Settings > Developer Options > USB Debugging. Once you have followed all the above steps and instructions, your device is ready to start with the rooting process. dr.fone toolkit - Android Root is one of the most sought after solutions for rooting smartphones. The best part about this rooting tool is that it is 100% safe and secure with the best success rate in the industry. It also supports over 7000 devices worldwide which makes it a proven solution to root Huawei Y635. Step No 1: This step mainly shows how to connect your Huawei Y635. The first step is to launch the dr.fone toolkit for Android on your personal computer. Once done, click on the icon which reads Root among all the others. Then you move on to connecting your Huawei Y635 with your computer using a USB cable(preferably an original one). If the Android version on your Y635 is 4.2.2 or above, you will see a pop-up message on your phone screen. Click on OK to allow USB debugging. After this, the dr.fone Wondershare toolkit will automatically recognize to connect your Huawei Y635. Step No 2: Now we move on to the second step, which is detecting and finally rooting your Huawei Y635. Once your phone is successfully connected with the computer, click on Start which is visible on the dr.fone toolkit for Android. The Wondershare toolkit will now start the process of detecting your Y635 and look for the right method to root your phone. The detecting process will take some time as it is entirely dependent on the phone model and speed. The dr.fone toolkit will now be ready to start the rooting process for Y635. Simply click on Root Now to proceed with the process. Once again, you will receive a pop-up message which will ask for your permission, this time for rooting your Huawei Y635 device. Confirm the same by accepting and let the process continue. In a few minutes you will see that your smartphone device has been eventually rooted. There you go, you have successfully and safely rooted your Huawei Y635 using dr.fone toolkit for Android. There is always a dilemma that all of us go through when we want to decide to root or not to root our mobile device. Hence, it is in the best interest of users to know both about the pros as well as cons of rooting the Y635. •	You may start using some special apps for example superuser is an app that can only be run after rooting. •	You can tether your Y635 even before your phone carrier allows access. •	You can control your apps better and choose to give access to root system. •	Rooting also gives you the freedom to move the installed app to SD card, thus freeing a lot of internal memory space. •	The most powerful benefit of rooting is Custom ROM's which can speed up and change the entire look and performance of your phone. •	You can customize and change the initial screen. •	Allows easy system modifications. •	You have the ability to uninstall any pre-installed apps. •	You can make a full backup of the system and applications. •	Rooting will immediately void the warranty of your phone, so you would not get any service under warranty from the company. •	Rooting may lead to bricking of your phone which in simple terms means your phone may be dead and cannot be repaired. •	You may run the risk of bringing in viruses to your Huawei Y635 with custom programs and changes to the code of a software. •	Some users have reportedly faced the issues of poor performance after rooting. •	Your phone's operating system may become unstable after rooting. We, in this article tried to come up with the best and hassle free two step process to root your Huawei Y635 which is proven to be safe and also keep upfront the advantages and disadvantages of rooting your Huawei Y635. Hope it helps you in making the best decision for yourself in rooting the Y635 carefully and explore the new possibilities on your smart phone device. Note: Our healthy advise to our users would be to not rush to the decision of rooting and take into account all the above point very carefully. Although it very attractive to have an unlocked phone with all the powers and control, trust me, having a bricked phone is not worth it. Find out here how to hide root from apps like Snapchat, Pokémon Go, Android Pay so that your rooted Android can install any apps.